We are only two thirds of the way through 2012 but I am going to declare that I have found one of my dining highlights of the year. And the winner is... New Hall Hotel in Sutton Coldfield. But unfortunately, the award is for... the Year’s Worst Lunch. Rarely have I been as embarrassed as I was by the two plates of food that masqueraded as our main courses. I dined with a friend, Mr Clouseau, who knows his stuff when it comes to cooking. If the poor chap had shaken his head any more it would have fallen off. It actually pains me to write this review. I take no joy in it, just as I took no joy in the experience itself. There are several reasons for my genuine disquiet. 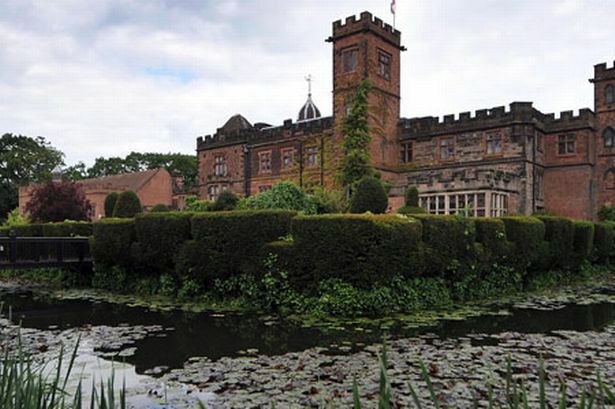 New Hall, reputedly England’s oldest inhabited moated manor house, is utterly unrivalled as a dining location in Birmingham. If Monsieur Blanc had it, or one of the Rouxs ran it, or Sir Peter Rigby’s Eden Hotel Collection managed it, it would be irresistibly good. I mention Sir Peter because New Hall, with its beautiful grounds, reminds me of the under-stated yet stately charm of the excellent Mallory Court in Warwickshire, which remains the flagship of the Eden brand. There is still a place for grand country house dining in the UK, but there isn’t anywhere with a Birmingham postcode that fits the bill. New Hall, in B76, could fill the void perfectly and as a business it would benefit from being on the doorstep of the biggest urban population cluster outside London. However, New Hall, based on this lunch, misses the mark by several country miles. What a missed opportunity. There is, though, a more compelling reason for my disappointment. Whisper it gently, dear reader, but I have a romantic attachment to New Hall. It was here, in 1994, that the newly-installed Mrs McComb and I spent the first night of our married life. I remember staggering into a beautiful suite in the old house, sitting in bed with a late-night plate of sandwiches and a bottle of Sancerre while watching the final day of the season on Match of the Day. I recall breakfast the following morning in the elegant Bridge restaurant, peering through the leaded windows at the ducks floating by in the moat, nursing the greatest hangover of my life and wondering how I was going to survive an overnight crossing of the Irish Channel. I have returned to New Hall on several occasions since our honeymoon and the place still looks wonderful, particularly on a glorious summer day. But something is wrong, something is amiss. It’s like coming across an old flame, once so irresistible, who has let herself go. You think about making eye contact but lose your nerve. I’d apologise on her behalf, insist that it’s me who’s changed, not her. Only it’s not me – it’s definitely her. And so the carpet in the Terrace Brasserie, where we had lunch, needed a decent vacuum and the brass plate on the gents’ loo needed buffing to remove the smeary marks left by a thousand fingers. They are small things but they matter, especially when you are part of a hotel group that calls itself Handpicked. In truth, the alarm bells rang earlier, when I popped online and discovered the hotel’s main restaurant, the Bridge, only opens for three days a week, Thursday through Saturday. Now I know prestige hotel restaurants in cities like Paris close for August, but they don’t effectively shut for more than half the year. If a hotel’s management takes the decision to mothball what should be the flagship restaurant for most of the week, it tells you something about the focus on cuisine and the faith put in the kitchen brigade. None of it, I’m afraid, is positive. The Terrace at New Hall touts itself as a brasserie but anyone from France or Belgium would be confused. Being British, you won’t be because the term brasserie is so misrepresented here that it simply means a place with food, drinks and some exposed wood. The term is not indicative of the cooking, the presentation or the ambiance. McDonald’s, if you like, is a British brasserie. It’s a load of coq monsieur. The Terrace purports to offer “modern cosmopolitan dining” with a “tempting range of home-cooked favourites”. Its signature dish is described as seared sea bass with chorizo, chickpeas, rocket and piquillos peppers. Because that’s like original, isn’t it? No one does fish and chorizo, do they? The lauded signature dish, needless to say, wasn’t on the menu when we visited. Maybe it signed off together with the last chef who could cook. The outlook, like I say, is lovely and if we’d brought our own sarnies it would have been a pleasant lunch. Clouseau kicked off with the pressed ham hock terrine which lacked seasoning but wasn’t too bad. That was as good as it got. On the basis that it sounded wrong, I had smoked chicken with potato gnocchi and “wood roasted” peppers. After all, it might have been deliciously right. It’s wasn’t. It was wrong and I was right. The dish looked like it had been assembled by the design team behind the Talbot Sunbeam, whose defunct staff canteen might have inspired the sourcing of ingredients. The “lob-it-on-the-plate” aesthetic was a canny attempt to disguise the pitifully shredded poultry and the barely warm gnocchi, the latter bearing all the hallmarks of having been pulled from the deep freezer and fried in butter in a vain attempt to resurrect the living dead. The dish must have cost £1 to assemble and was worth about 20p. It was on the menu for £11.50. The terrine was £9.50. Clouseau’s main course of roasted fillet of very grey cod came with a foul pea and mint risotto of geriatric-ward rice pudding consistency. The fish was badly overcooked and if it had been cut any further down the fish it would have had fins. For this, sir, New Hall charges £19.50. I had a bowl of beige/grey speckled liquid, which looked like it had been dredged from the moat, topped with a cold, worm-like alien life form that would challenge Dr Spock’s powers of recognition. It was fish pie, but not as we know it. Happily, the waitress was able to tell me the pie contained salmon, whiting and something I’ve forgotten. As the chef also forgot to put whatever it was in the pie, my lax recall is irrelevant. The pie was truly dire, a triumph of poor technique. The alien life form turned out to be piped potato, which can be ordered as a side order, for £4. Ask them nicely and they might heat it up. I almost felt sorry for the waitress who had to serve the dishes, just as I felt sorry for the under-trained rookie (please don’t let it be the head chef) who was left in charge for lunch service. Why was he or she put in such a position? The waitress wanted to know what was wrong with the food. “It’s just not very good,” I said. “Bad, really.” There’s hardly any fish in the pie, etc. Could she get us a replacement dish? “No, thank you,” I said. “Please, no! Oh, dear God, no! No! No! No! Anything but that!” I thought. The woman who gives out the bills said she understood we were unhappy with the main courses and there would be no charge for them. She went off. I told Clouseau to go. “Save yourself,” I said. Several years ago, New Hall’s head chef, Wayne Thomson, left to set up his own restaurant, No 9 Church Street, in Stratford-upon-Avon. Coincidentally, I reviewed No 9 last month and it is very good. You can tell when a chef loves his food. Food doesn’t appear to be loved at New Hall. If this lunch is anything to go by, the food has gone off the rails then disappeared over a cliff since Thomson’s departure. The moral of the story is simple: good chefs are worth their weight in gold and hotel groups that fail to hang on to them, or replace them, need to ask some fundamental questions about their business strategy. I used to love New Hall but now I feel like an opposing figure in a divorce court. I fear it is going to end in tears.